When Theaster Gates – artist and founder of the Rebuild Foundation – led a series of classes asking students from Most Holy Trinity Catholic School and Academy to describe a healthy community, it could have ended there. 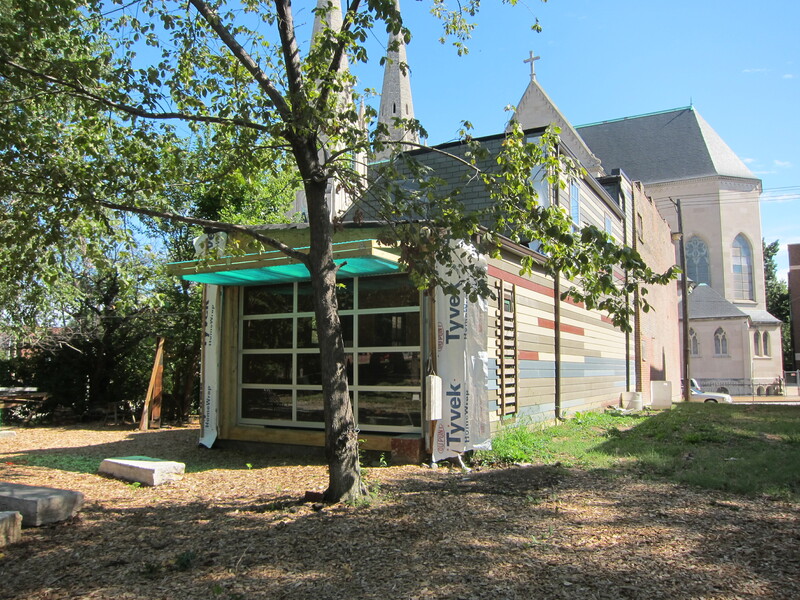 Instead, an inspired parishioner donated a dilapidated multi-family building that Gates, and an army of volunteers (including students from Washington University’s CityStudioSTL), transformed into an arts center providing the cultural programming lacking in the neighborhood. 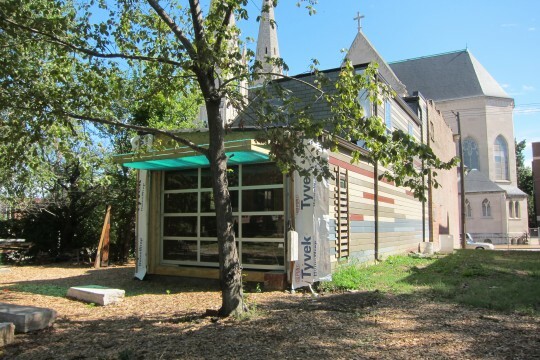 Volunteers re-clad one wall of the house, known as 1415, in reclaimed hardie board, made a community theater/performance space by replacing a wall with a garage door, and established a community advisory committee to help with programming. The transformed structure now houses arts classes, workshops, and artist residencies.